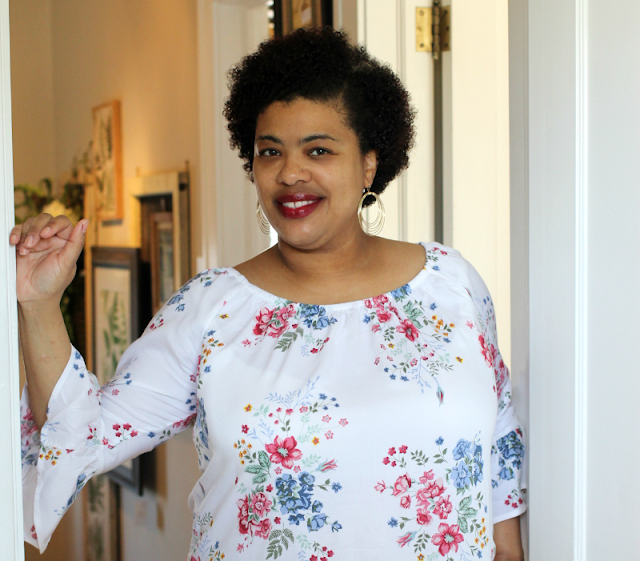 Listen, I'm always running around doing this or that which honestly seems like my full-time job. 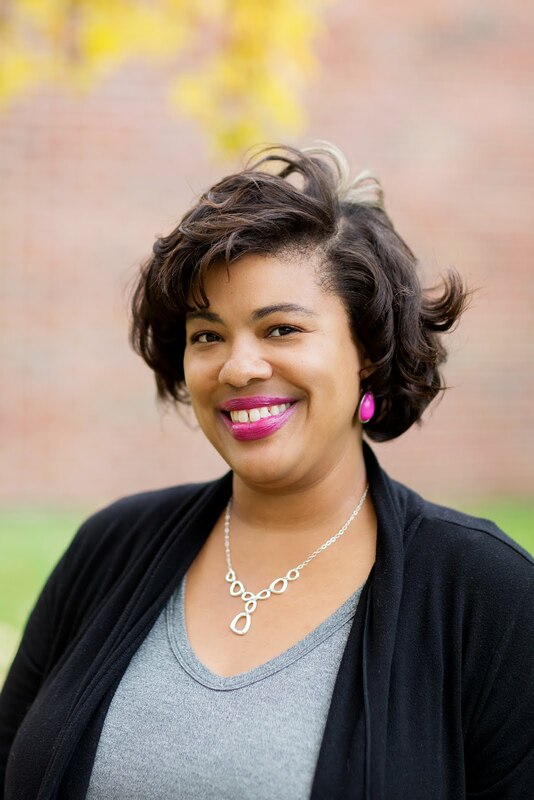 Taking kids back and forth to school, grocery shopping several times a week, you name it. It's nice when I can find just a moment to sit down and enjoy a glass of yummy goodness - just for me. I don't drink alcohol, and sometimes I just want to pour a glass of something special like everyone else. That's when I like to get fancy and fix a fruity mocktail or a non-alcoholic drink of some sort. Welch's Juice Cocktails are perfect for making your favorite mocktail or if you like to add a lil something extra. I like drinking Welch's Refridegarated cocktails by themselves as well. So today, this girl is going to try something different. Something fancy! 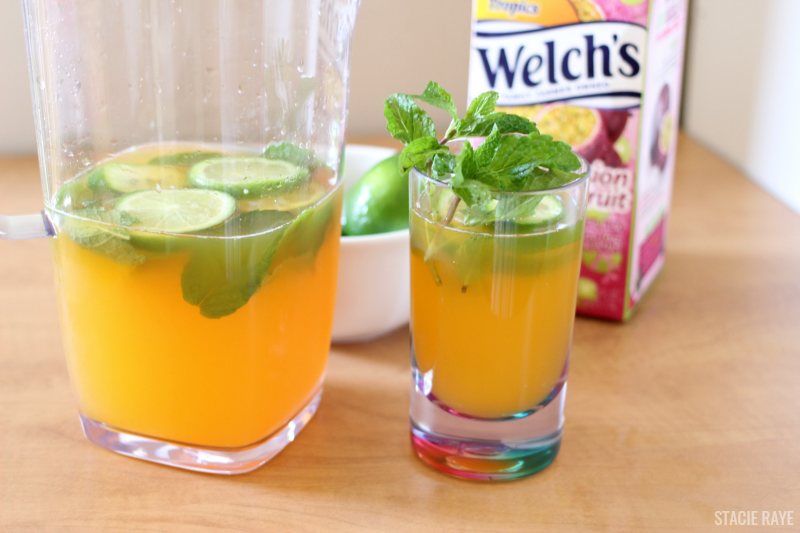 I'm going to make myself a mocktail using Welch's Juice Cocktails with fresh fruit and mint. 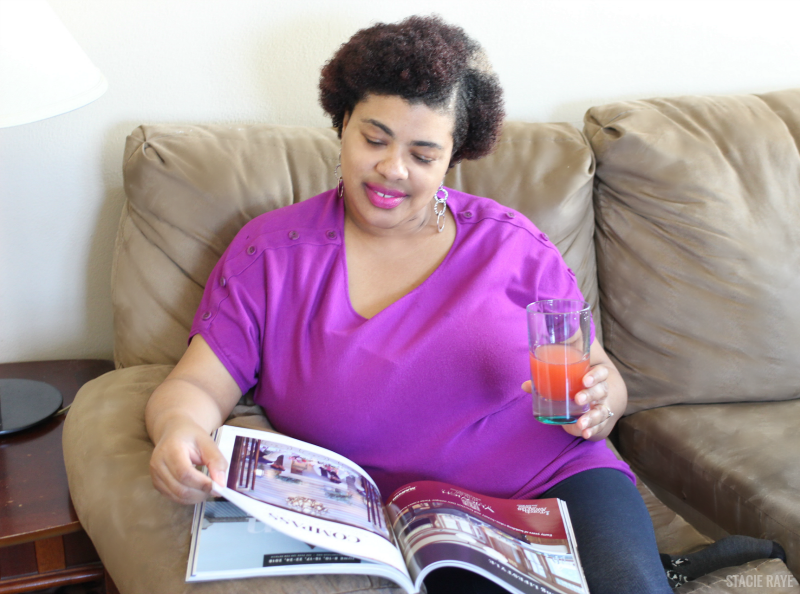 See my Fancy Concord Grape Juice Mocktail here for more inspiration! First you want to crush the mint with a spoon to release flavor in a pitcher. Then, cut one lime into four slices and set aside. Next, pour Welch's Passionfruit Juice Cocktail into the pitcher with the mint. Next, squeeze the juice of the other lime directly into the pitcher. Garnish with fresh mint and lime slices. Add ice if you want. Sip away! 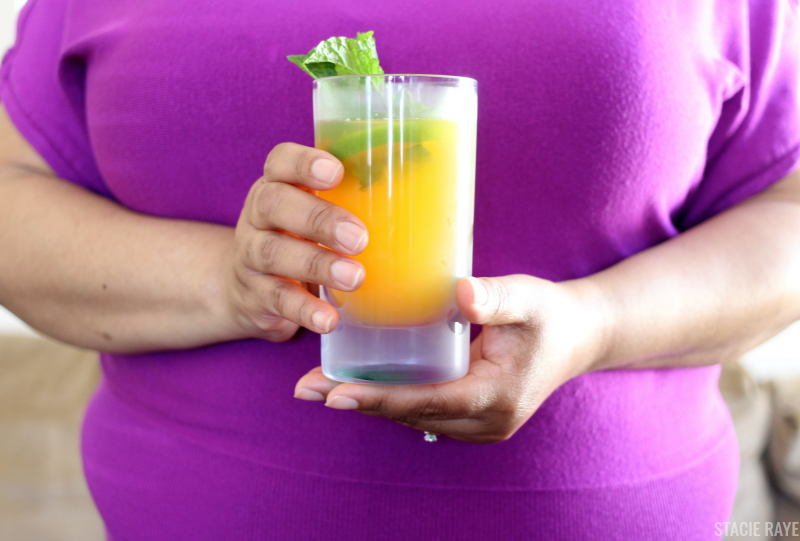 Watch to see how easy it is to make Passionfruit Mojito Mocktails for yourself! The great taste and refreshing goodness of Welch's Dragonfruit Juice Cocktail is also perfect for your spring or summer outings too. I like to sip some as I chill with my magazines or I unwind and watch my favorite evening shows. 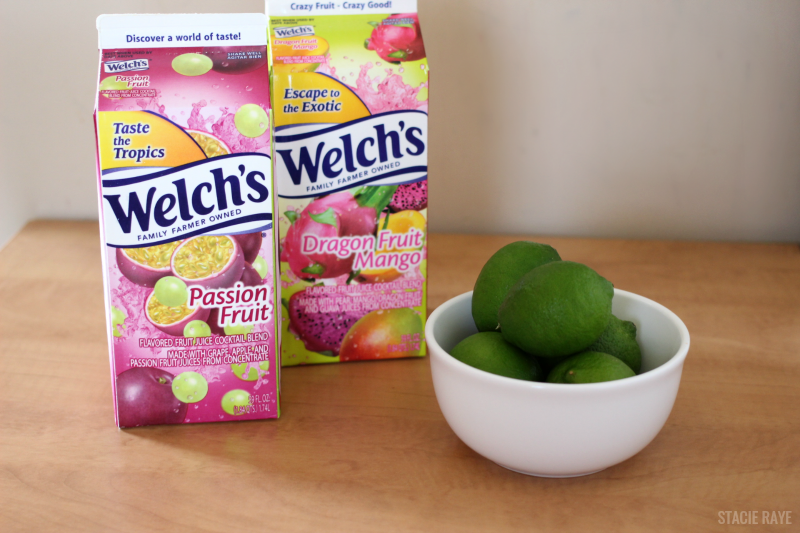 Have you tried Welch's Juice Cocktails yet? 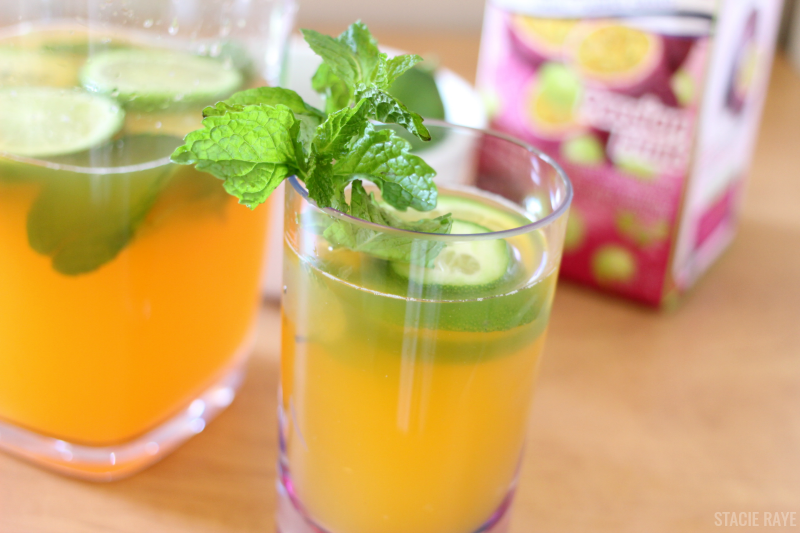 Do you enjoy making mocktails for yourself or your family? Oooh, these drink flavors sound so refreshing! I will have to look for them next time I shop. They're good Shelly! I don't know why I didn't try them before. This looks so good, girl! The recipe is so simple and easy to follow. BTW, I fixed the comment issue on my site. Thanks for stopping by and letting me know. I've never heard of these! I've definitely been missing out. I enjoy a good cocktail, especially a mojito, so this would be great alone for those who don't drink, like my mom, or with alcohol for someone like me. Sweet and simple, just how I like it. I could serve this at a party and have the alcohol on the side for those who want it. Love it. I'm going to have to try this over the weekend but will add a sparkling water to it or add Ciroc to it. I love Welch’s and I love new fruit drinks. Thank you for this post, I look forward to trying it. I will be making this mocktail! Thanks for recipe. I've really been loving all those cocktail drinks they have now. I never tried the passionfruit one but I believe they have a sangria flavored one that I tried. Every Sunday I make a cocktail or real cocktail for dinner. I just might need to add this one to the list. Sounds tasty and sweet! This could be a great to serve at a party. That would be fabulous on a warm summer day...if summer ever visits Canada! GAWD! Sounds delicious!!! This seems easy I know my husband would love if I made this for us! I love any drink that includes mint, it just gives the drink a whole different taste! Definitely will be making this on a hot summer day! This sounds good with or without alcohol. I think I would dry it both ways. This would also be good a bit frozen or slush like. I love this mojito mocktails. Looks taste great way to remix Welches! I’m all for getting fancy now and then. :) You had me at mint! This recipe sounds delicious! Oh my this is brilliant! I am saving this in my Pinterest to make girl!!!!!!! Yum!!!! I love Welch's, so I'm going to try out this drink recipe.